Transport Secretary Patrick McLoughlin will be asked to save paper timetables from being axed in South Yorkshire. 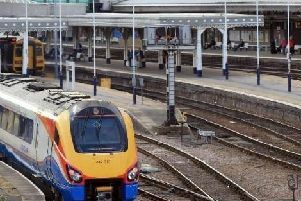 The decision to remove printed timetables was made by South Yorkshire Passenger Transport Executive as part of measures to save £7.6m - which also included the loss of 50 jobs and closing travel centres. Timetables are still available currently but will be phased out, and information on bus services will only be available online. Rotherham MP Sarah Champion said she had had a number of constituents raising concerns about the change - with one saying that it impacts most on the elderly and vulnerable as they do not have internet access. She has now written to Mr McLoughlin asking him to step in and wants the executive to ‘reassess’ the decision as the impact will be larger than expected. Ms Champion said:“I have been approached by a number of constituents in recent weeks with their worries about this loss of information. “I am aware that schedules will always be available online, but my concern is for those who simply don’t have access to the internet. “I believe the impact this will have on the elderly and most vulnerable in particular will be bigger than the SYPTE expects. “As we know, schedules change and without prior knowledge those people who rely on paper timetables could miss important appointments. “I hope that a solution can be reached and I have written to Transport Secretary Patrick McLouglin about this matter. Removing paper timetables will save £118,000 a year. Information centres on Arundale Gate, Sheffield, at Meadowhall, Rotherham, Doncaster and Barnsley will also close. Cleaning staff at interchanges are to reduced and bus shelters will be cleaned once every three months rather than monthly.